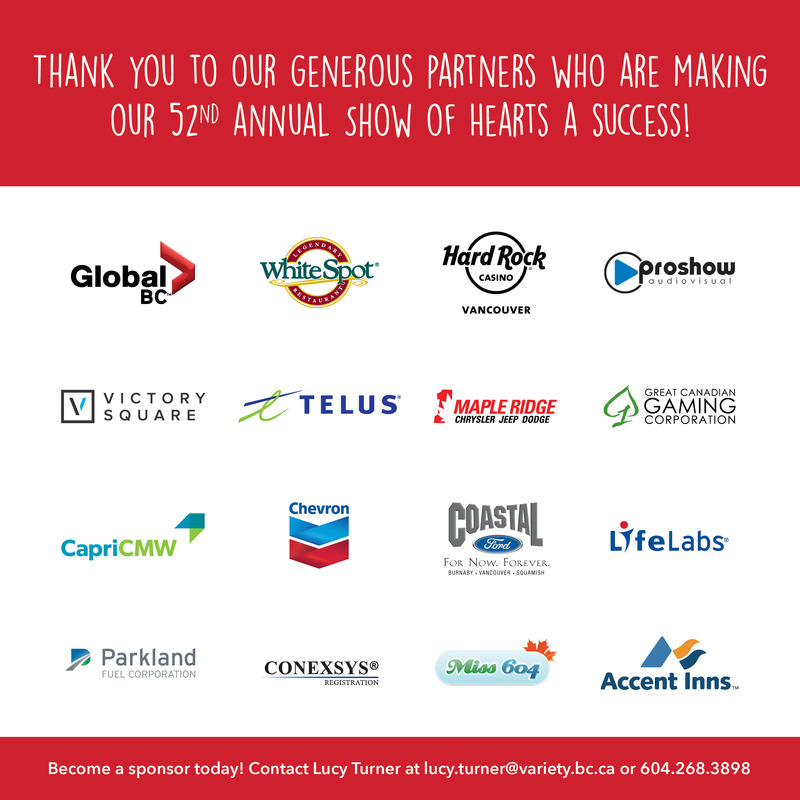 The 52nd Annual Show of Hearts will air live from 9:30 a.m. to 5:30 p.m. on Global BC on Sunday, February 11. Originating from the Molson Canadian Theatre at Hard Rock Casino Vancouver, the eight-hour show will be broadcast both on-air and online via livestream at Globalnews.ca. Award-winning online media blogger Rebecca Bollwitt, better known as Miss 604, will be returning with her interactive Social Lounge where she and her team will be providing live updates while offering an exclusive behind-the-scenes look backstage. Also returning to the show will be legendary wildlife artist Robert Bateman whose posters will be sent out to those who donate $169. 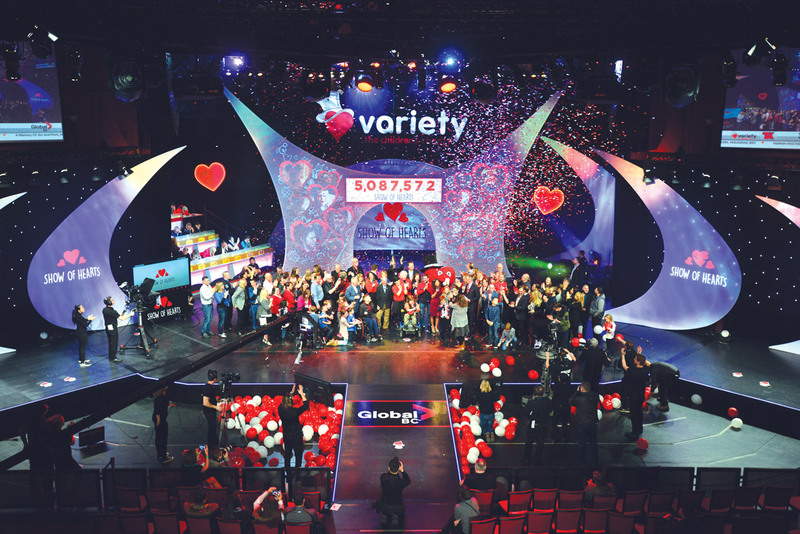 Last year’s event saw Variety raise an astounding $5,087,000. Donations to the Show of Hearts can be made by calling the telethon toll-free at 310-KIDS and as well, they can be made online at variety.bc.ca or by texting “KIDS” to 45678 to make an automatic $20 contribution. You’ve seen the Gold Panel. Now be a part of it! This year we are introducing a Virtual Gold Panel. It’s simple. Join others across the province by setting up an online fundraising page and reaching out to your friends and family for their support! 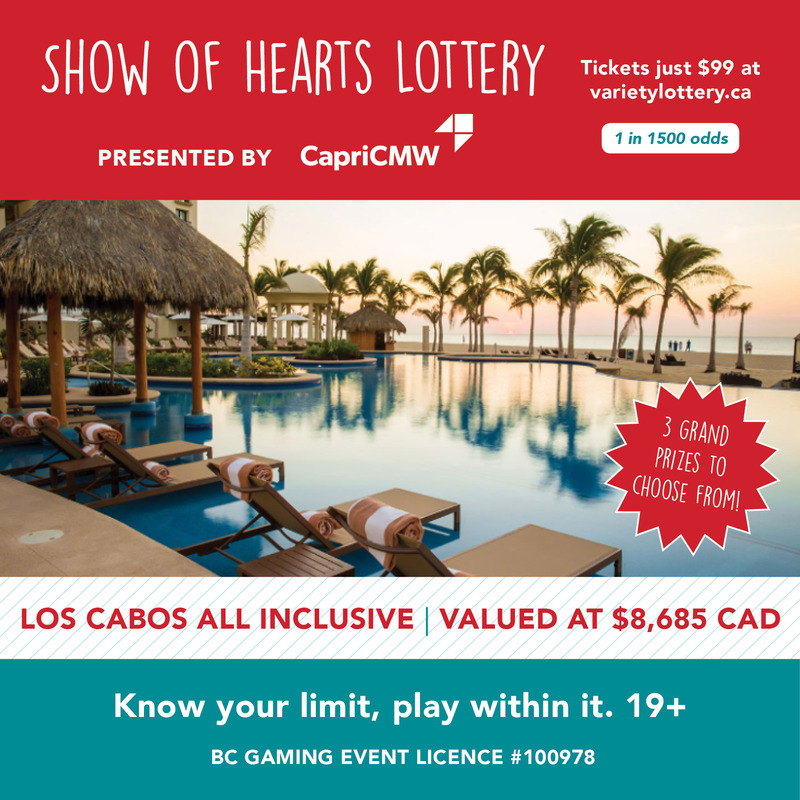 Don’t miss your chance to win one of three incredible prize packages in the Show of Hearts Lottery! Buy your tickets today! YOU asked and we listened. Back by popular demand, donors can once again receive an official Robert Bateman poster with a minimum donation of just $169! 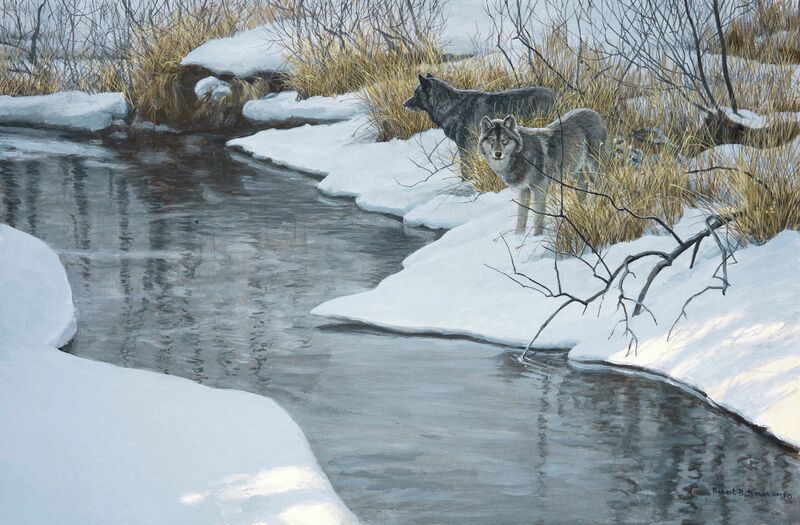 This year we will be featuring Robert Bateman’s Water Edge Wolves poster and donors will have the opportunity to have their posters framed for an added $169 with a portion being donated to Variety! *Monthly donors who increase to $35 a month are eligible to receive the poster. To date, a total of 599 Sunshine Coaches have hit the road in all corners of the province. During the Show of Hearts Telethon, we will be unveiling our 600th Coach. 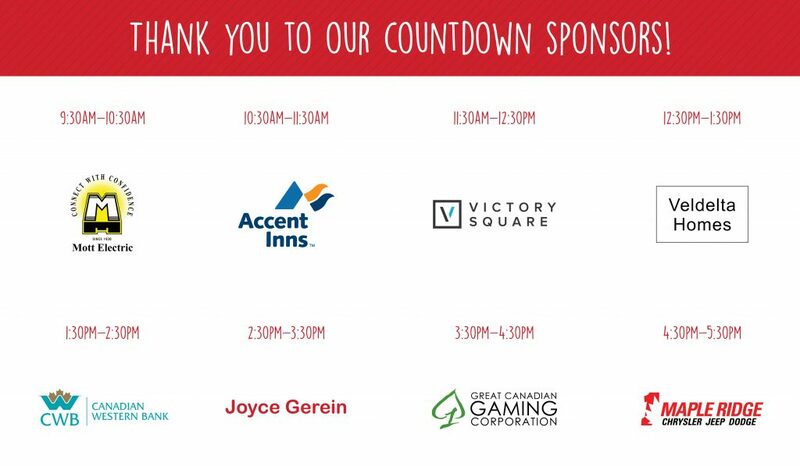 Be sure to tune in and help us celebrate this incredible milestone! It was 25 years ago when the PACE Program received a Sunshine Coach to use for their Family Program which offers intensive early intervention for young children with emotional and behavioural challenges. Today they are in urgent need for a new one. We are so pleased to announce that because of our donor’s commitment to this program, the donors of a new coach will be fulfilled. We are also excited to have Global BC’s Award-winning news anchors, Chris Gailus and Sophie Lui champion the Sunshine Coach program this year! Join them by donating $1,047 and have your name placed on the side of one of these special vehicles with access to life-enriching education and experiences. The Show of Hearts has been an enduring legacy for the entire 52-year existence of Variety – The Children’s Charity in British Columbia. Proceeds from the annual broadcast event on Global BC have helped countless families and children with special needs. Donations can be made online, toll-free by phone at 310.KIDS, or by texting “KIDS” to 45678 to make an automatic $20 contribution.